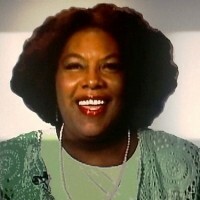 Carmen Mathis has been the Producer and Host of “The Carmen Mathis Show” on the Manhattan Neighborhood Network for the past five years. Carmen is in charge of securing the talent and crew for the show, as well editing the show. She has been in the entertainment field for over 30 years, has taught film-making at the Bank Street College of Education and was an Adjunct Professor at John Jay College of Criminal Justice. In the past, she also taught dance and drama at various venues. She has recently acted on the show Orange is the New Black, and is very proud of being recognized twice for the clip of the week and the clip of the month by Manhattan Neighborhood Network. Carmen has also produced a TV show for her church called “Success By Faith,” and it was shown in Manhattan, Brooklyn and the Bronx. She contributes to WBGO and her church, and attributes her success to the work ethic instilled by her family. Carmen’s goal is to syndicate her show and to continue acting.